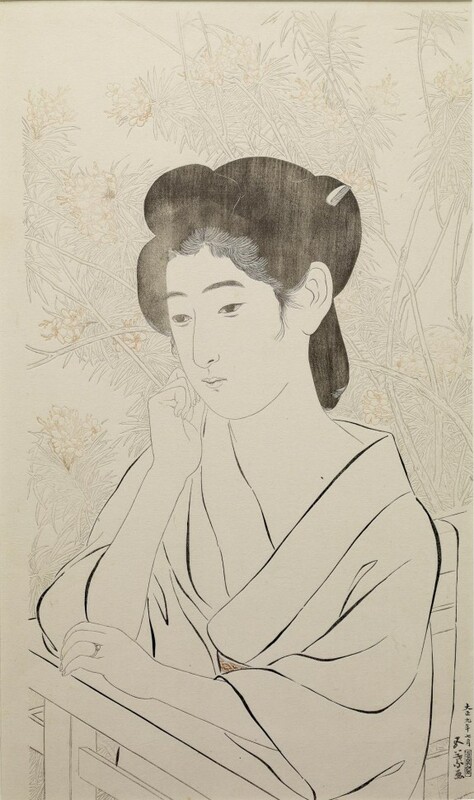 Hashiguichi Goyo's Beautiful Women. The Walters Art Museum, Baltimore. 2012. 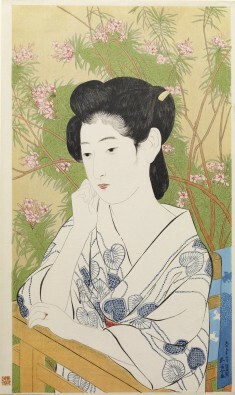 Japanese Woodblock Prints: The Art of Collaboration. The Walters Art Museum, Baltimore. 2018-2019. Provenance C. Bertram Hoffberger, August 06, 1992, by purchase from Tsuru Gallery, New York City; Erna Hoffberger, Upperville, Virginia, 1997, by inheritance; Monika Griff, Silver Spring, Maryland, October 19, 2010, by inheritance; Walters Art Museum, 2011, by gift.